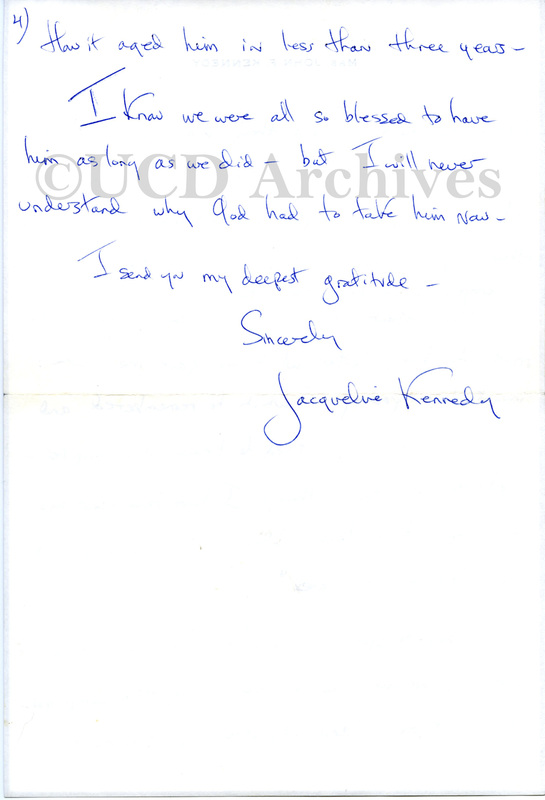 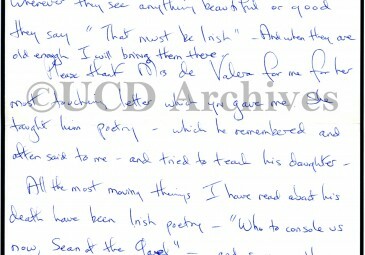 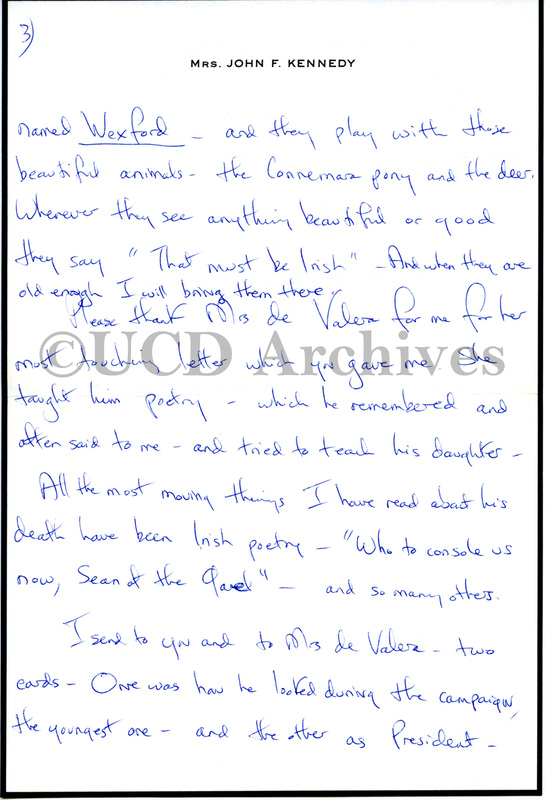 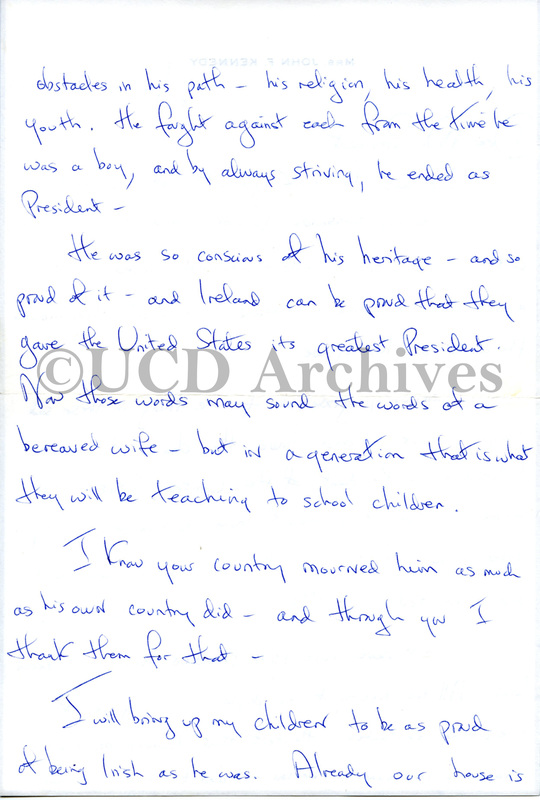 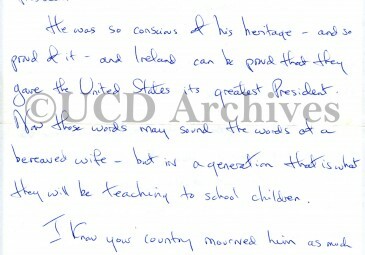 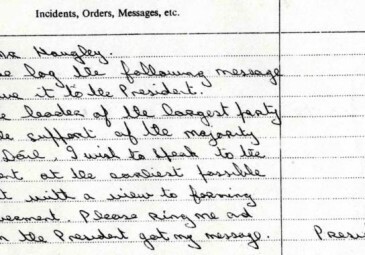 Personal letter of thanks to de Valera from Mrs. Jacqueline Kennedy, following his attendance at the funeral of the late President (22 January 1964) from the Eamon de Valera papers (2841 P150), © UCD Archives. 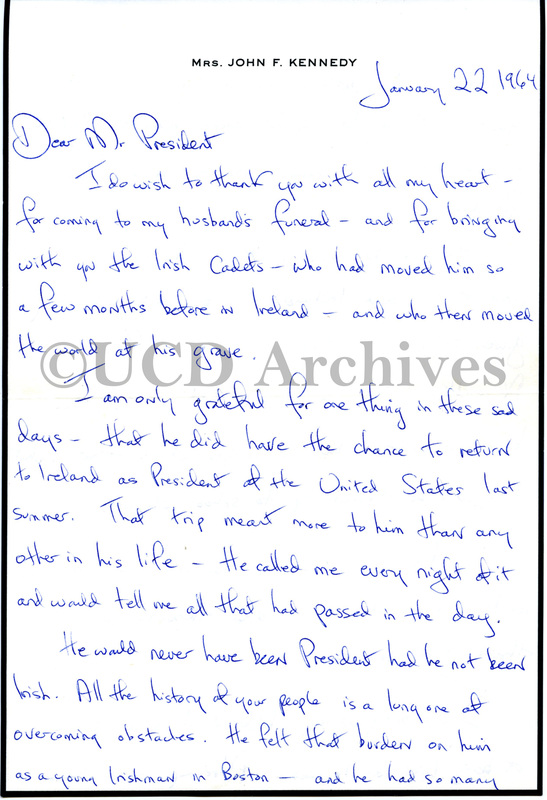 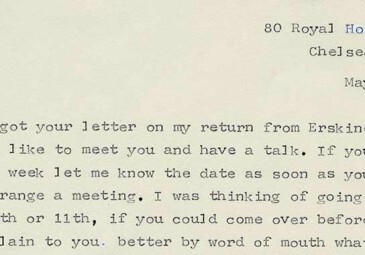 The letter is reproduced here as part of History Hub’s special commemorative JFK series. 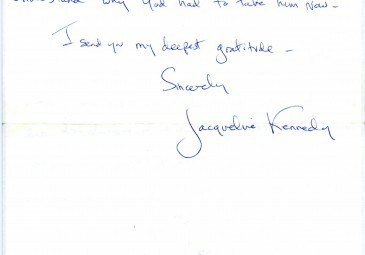 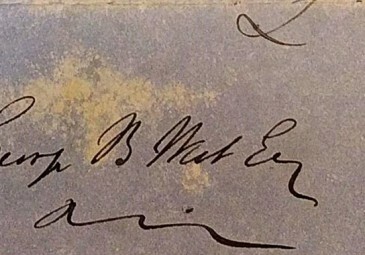 Image: Jacqueline Kennedy’s signature from page 4 of the letter.